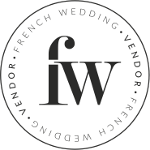 Welcome to the French Wedding Directory – a comprehensive directory for all brides looking for French suppliers for their upcoming wedding in France. Whether you are looking for Wedding Photographers in France, Hair Stylist in Paris, or a French Chateau for your wedding in the South of France, the French Wedding Directory has everything you need. You can search for French Wedding Vendors by using the map, the listed area regions on the right hand side or search by the type of Vendor you are looking for by using the search facility and drop down list.